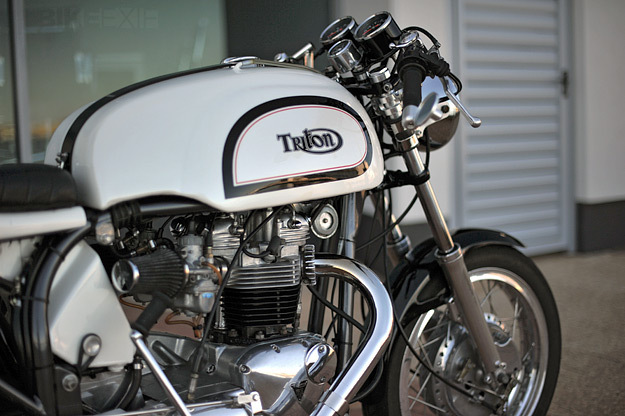 Ask most people to visualize a ‘classic motorcycle’ and the image that springs to mind will probably be a Triton. 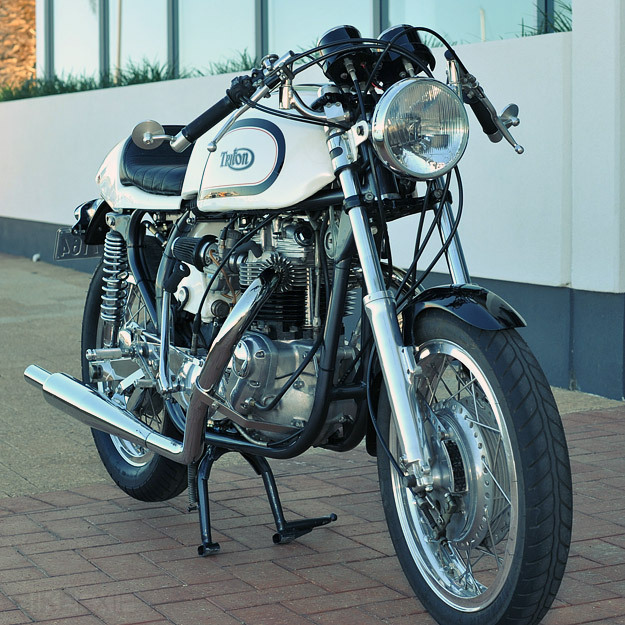 It’s a simple and elegant style, and although dozens have been submitted to Bike EXIF over the years, they still catch my eye. 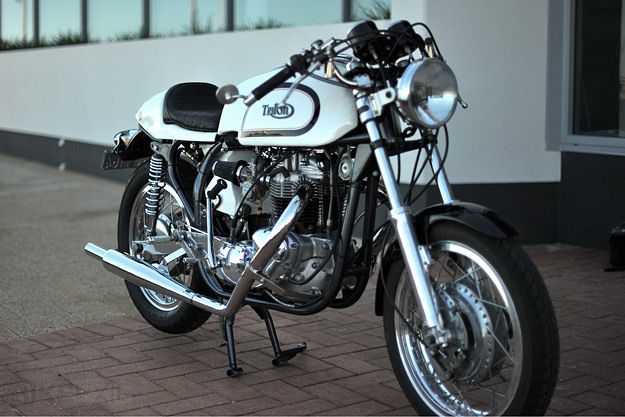 This one is owned by Australian Colin Cox, who bought it on eBay in 2007. 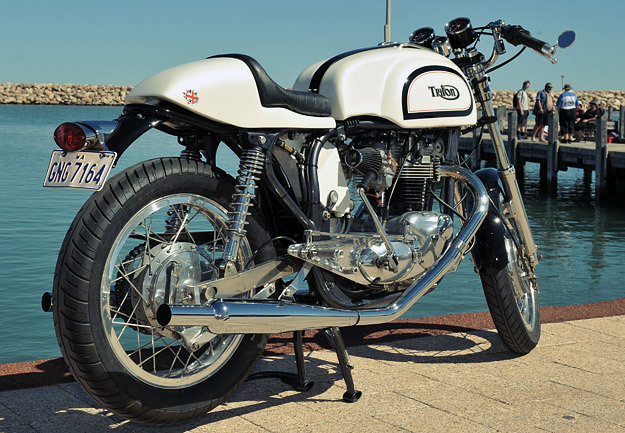 It’s a 1961 Norton Featherbed frame with a 1967 Triumph T120R motor; up front are Norton Roadholder front forks with Manx springs, and Suzuki GT750 brakes. It was restored in 1990 but Colin, however, had no end of problems.